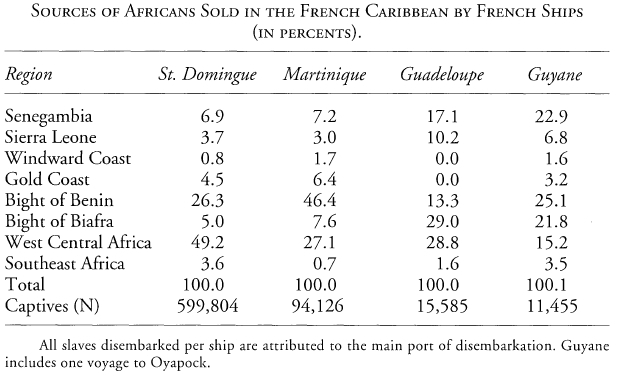 Slave trade carried out by the French to Haiti (St. Domingue), Martinique, Guadeloupe and Guyane. Source: Geggus, David. 2001. 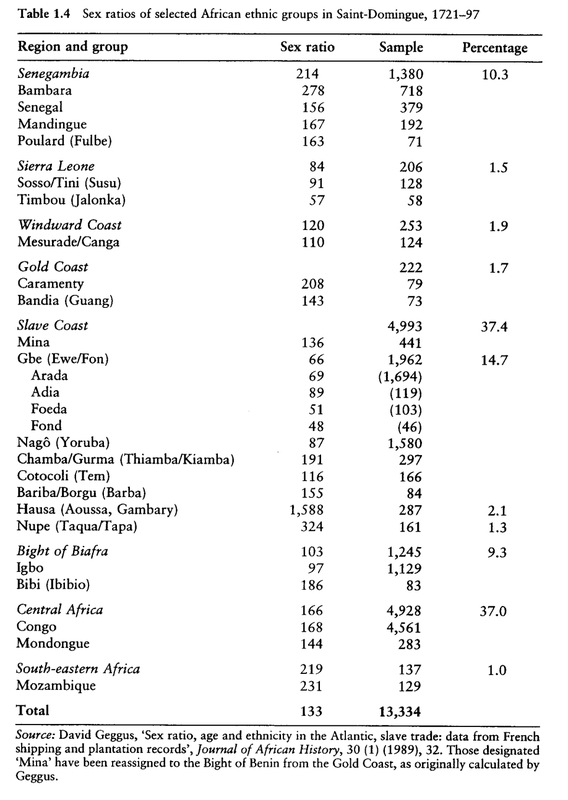 The French Slave Trade: An Overview. The William and Mary Quarterly, Third Series, Vol. 58, No. 1, pp. 119-138.